ProSource® of Phoenix offers a large selection of wholesale flooring, including carpet, hardwood, laminate, tile and vinyl. Our goal is to find high-quality flooring that matches both your client’s lifestyle and their home design preference, while also staying within their budget. 1. Does the desired room’s flooring need to be waterproof, scratch proof, spill proof, or heavy-traffic proof? 2. What is your client’s style and how can the flooring visually showcase their style? 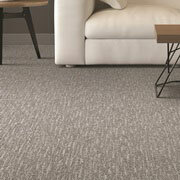 Our carpets range from styles like berber to frieze (shag), and they come in a variety of colors, materials and designs. Our carpeting brands are durable and comfortable, ensuring your client will have a carpet flooring that will last for the long-term — with proper care, of course. Hardwood flooring is a popular choice among homeowners these days, mostly because it can take on many different looks and styles. Our wood species for our hardwood flooring ranges from maple to oak to walnut, and we offer those choices in different gloss levels and color finishes as well. 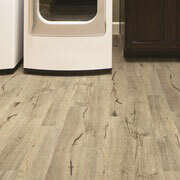 Laminate flooring is a great option for your clients that are on a budget. 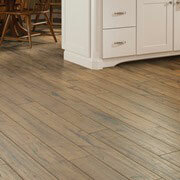 Laminate flooring replicates the look of hardwood flooring, but without the hit to your client’s wallet. 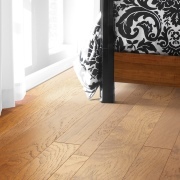 Our laminate flooring options include maple, cherry and hickory wood appearances. Tile flooring is perfect for the rooms in your client’s home prone to water damage or spilling — bathrooms, laundry rooms, kitchens, and more! Our tile flooring comes in ceramic, porcelain or stone, and our team can show you how to utilize tile to add that “wow-factor” to any room in your client’s home. 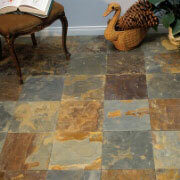 Vinyl flooring is another option for your clients on a budget. It replicates the appearance of wood or wile, and comes in many different colors and types, such as Luxury Vinyl Tile (LVT) or Luxury Vinyl Plank (LVP). The ProSource of Phoenix showroom is conveniently located in Phoenix, Arizona and serves all of the neighboring cities including Aguila, Ash Fork, Bellemont, Black Canyon City, Camp Verde, Carefree, Cave Creek, Chino Valley, Clarkdale, Congress, Cornville, Cottonwood, Crown King, Dewey, Flagstaff, Forest Lakes, Fort McDowell, Fountain Hills, Glendale, Gray Mountain, Happy Jack, Humboldt, Jerome, Kirkland, Lake Montezuma, Mayer, Mormon Lake, Morristown, Munds Park, New River, Paulden, Payson, Peoria, Phoenix, Pine, Prescott, Prescott Valley, Rimrock, Rio Verde, Roosevelt, Scottsdale, Sedona, Skull Valley, Sun City, Sun City West, Surprise, Tonto Basin, Wickenburg, Wittmann, Yarnell and Young.